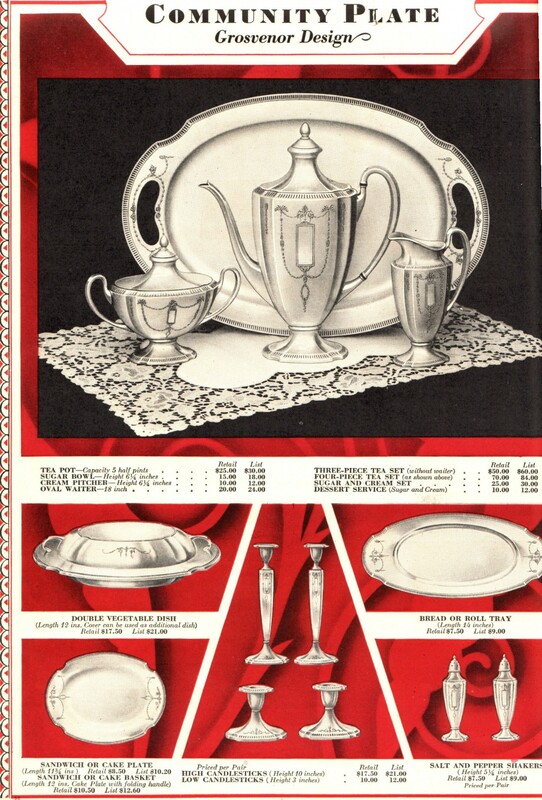 In 1917, when Oneida added the Adam pattern to its Community line of high-quality silverplate, the industry was beginning to offer fewer and less elaborate pieces in each pattern. 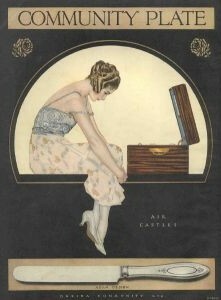 Adam’s oval and ribbon motif, named in honor of British designer Robert Adam, was compatible with the growing interest in colonial revival furniture and housewares. Still, in this pattern, Oneida offered not only the usual knives, forks and spoons, but a cheese scoop, pie forks, lemon forks, and six sizes of ladles. In my silver booklet Adam 1917, I have documented all the pieces I can find in the pattern, including flatware and china made only for the English market. This information is free.